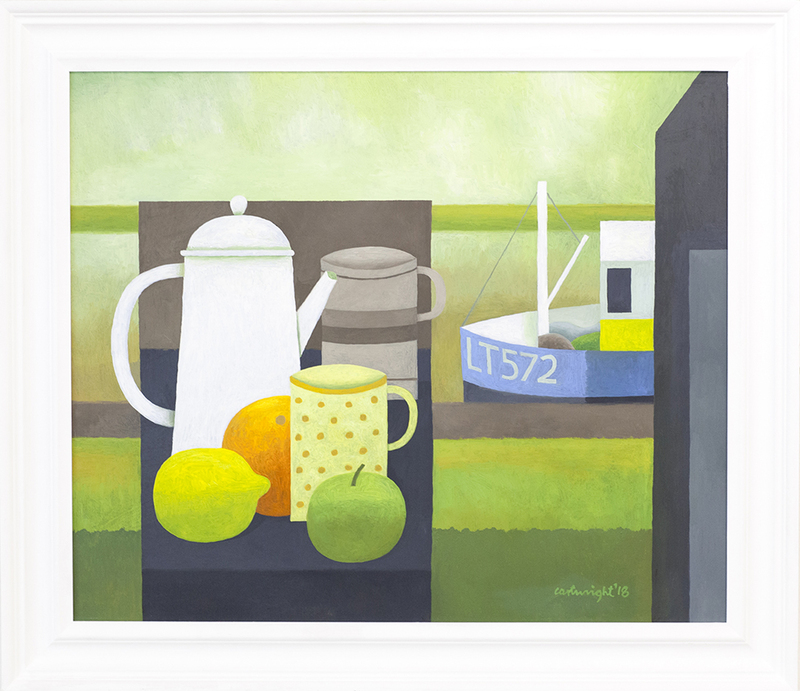 Reg Cartwright’s work continues the tradition of British Modernism, calling to mind the work of the St Ives School painters Ben Nicholson and William Scott. Working primarily in the still life genre, Reg Cartwright uses familiar objects such as jugs, plates and flowers as a pretext for examining complex spatial relationships. His paintings are less about the objects he paints and more about achieving a balanced and pleasing composition, attaining this by flattening perspective, omitting non-essential details and focusing on tone. Reg’s latest work is perceptively more vibrant in the use of colour, wit and humour. We will be in touch, thank you.